I, Anna, am back from GDC, where I spent a week with other people in and around the game development industry. Here’s what I experienced! The Game Developers Conference, GDC, is the largest conference of its kind in the world. Every year, almost 30,000 industry professionals travel to San Francisco to have meetings, show their games, attend lectures, and network. It’s generally considered one of the most important industry events of the year. For us at Valiant Game Studio, this trip was made possible thanks to Game Camps. In short, we applied for a scholarship, and they were nice enough to grant it to us so we could go with them. Travel, housing, and Expo Pass for one person was included. Without this, we may not have been able to go, as the combined cost of these things is very high. Our goal as a company was to have meetings with people we may want to work with, do some press, talk about Brindie, and network. Let’s break that down! We had several meetings during the week – both Wednesday and Thursday were pretty much back-to-back. It’s always fun to talk to press about Pendula Swing, and hopefully it’ll lead to more people finding their way to the game. As for meetings, we had several with porting companies that might help us bring Pendula Swing to more platforms. Keep your eyes open! Also, one meeting confirmed the truth of the saying “always take the meeting”. It didn’t look all that interesting at first glance, but could turn out to be one of the most valuable of the whole conference for us. 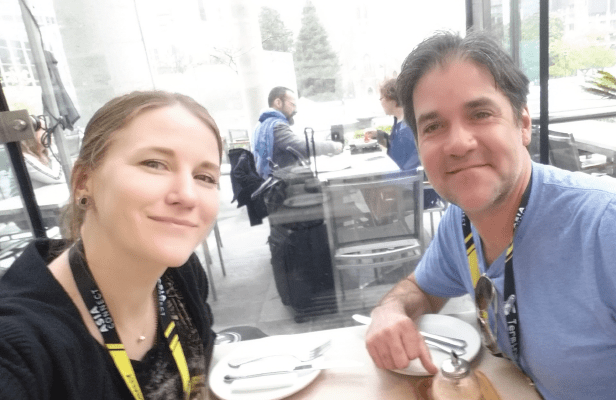 While on the other side of the pond (as you may know, we are located in Sweden), we took the chance to meet up with Jason Hayes. He’s on our advisory board, and happens to be a great composer (World of Warcraft, League of Legends) as well as a very nice guy. We grabbed an English tea together and talked about what’s been going on since we met last year. I also had the pleasure of bumping into another one of our advisors, Armin Ibrisagic – but only in passing at the Nordic Party. 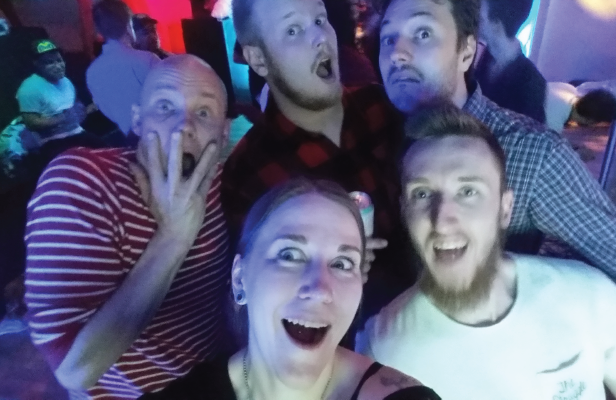 Luckily, it’s fairly easy to just meet up again back in Sweden. Apart from the countless impromptu elevator pitches (“Pendula Swing is an episodic adventure game set in a Fantasy Version of the American Roaring 20s. Think Tolkien meets The Great Gatsby”, preferably all in one breath), I participated in one formal pitch event. This was The PC Indie Pitch – part of The Big Indie Pitch, which took place during the afternoon of Tuesday. Basically, it’s speed dating with press and similar. Each participating company gets five minutes at each table, and then the judges decide who did the best job and thereby win the pitch competition. We did not win, but it’s always nice to get the chance to spread the word of what we’re doing. 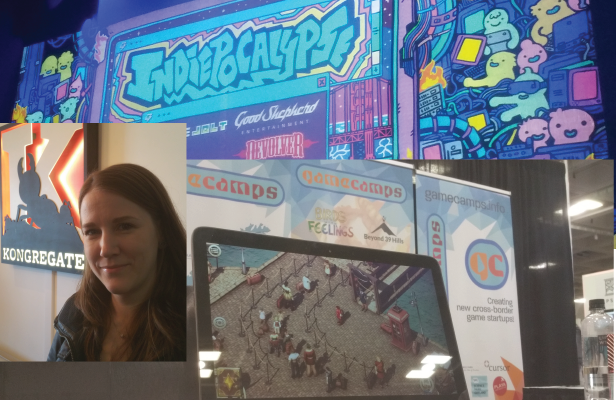 I also went to Kongregate’s office for a visit, and was one of the three companies from the Game Camps delegation chosen to pitch our game. We’ve however already looked into publishing on Kartridge, which is a platform of theirs, so the pitch itself didn’t really open up any opportunity we didn’t already have. The visit was nice either way, and it was interesting to learn more about what they do. 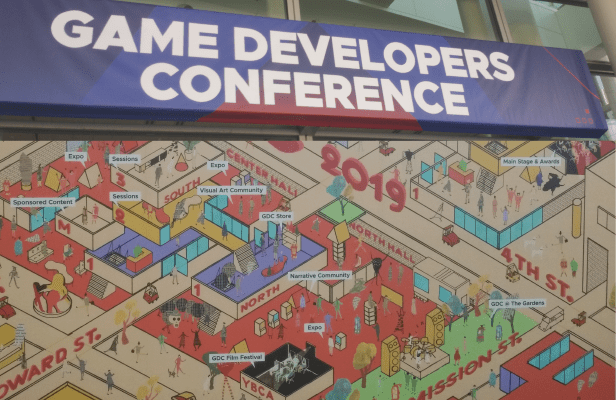 A big part of GDC is of course to meet other games industry professionals, to expand one’s personal network, find potential business partners, and catch up with existing connections. The opportunities to do this are all around, and especially at the GDC official parties. I met numerous new people, some of which I dare call friends, and got the chance to get to know people I already knew better. Overall, a very nice experience! So, in short, this was a successful event. I’m happy with the outcome, and hope that it will help bring good things to Valiant.